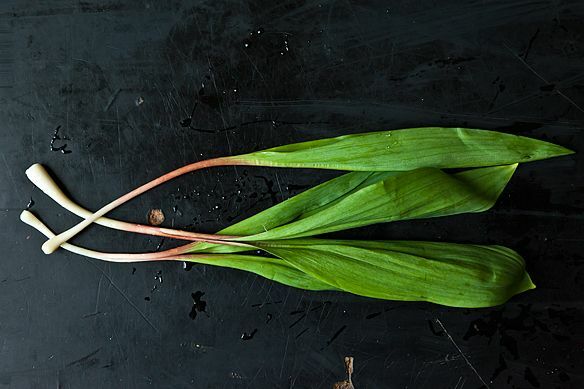 Every spring, we go a little crazy for ramps. Blame it on the thrill of foraging or a fleeting growing season -- either way, we're hooked. 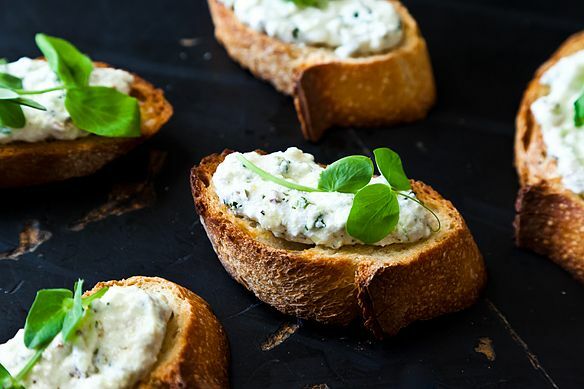 They're the cool older cousin of garlic, the feisty younger sister of onion. 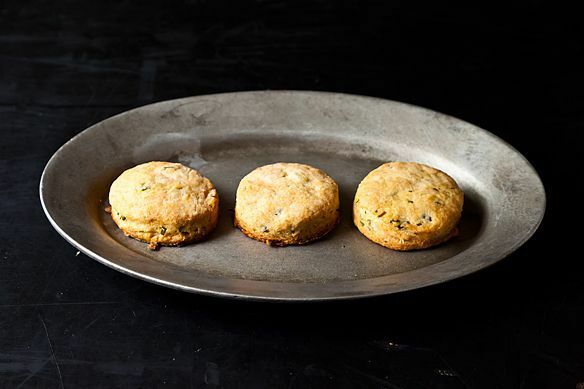 They add intrigue to the most familiar recipes and excitement to the simplest. We're mesmerized by all their wild glory, which leaves us clamoring for them at famer's markets, our eyes strained from hunting them in our own backyards. But, rather than wax poetic about their allure, why don't we show you? 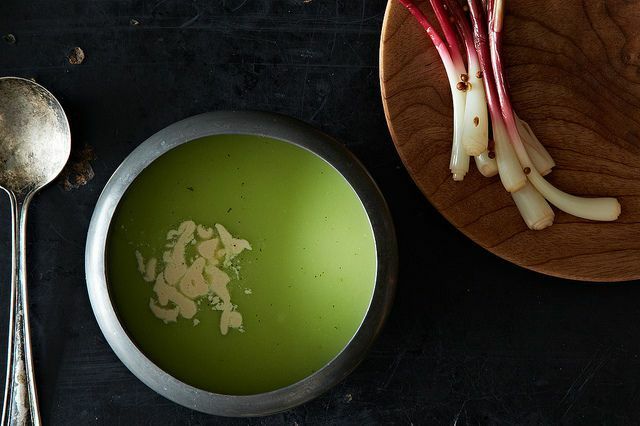 Take a look at this beautiful video by Mario Batali, then go wild with these 8 recipes with ramps. On the weekends I live in northern rural Wisconsin and for years saw these emerald acres with scarlet stems poking up every spring - the first sign of spring in my mind. It wasn't until I got a CSA that I realized these are ramps. In a couple of weeks, the ramps will be ready to forage and if I took all that I wanted, there would still be tons and tons left in the woods. I'm just a home cook. I've never thought of myself as "somebody important to the world of haute cuisine" although I am on the board at my local co-op. I just see this as taking what nature provides and being aware (and respectful) of the resources around me. I don't think of ramps as 5-star restaurant food. Sometime I make deviled eggs with the ramps. I can't wait to try some of these recipes especially the ramp pesto which I could freeze and eat beyond the short season. I love ramps but unfortunately can't get them anymore. Unless you live in a rural area ramps are basically inaccessible. I live in Washington DC and all of the ramps from farmer's markets are bought up by local restaurants before any of us can even say "hey, wait a second". It's gotten so out of hand that restaurants are now sourcing outside the immediate area and visiting farmer's markets in other states to buy up their stock. What are we supposed to do? I love ramps. Ours are not up yet. Can't wait to get some this year! They are endangered in some parts of eastern North America. If you do go foraging, leave some of the bulbs in the ground, take some of the leaves (leave some leaves on the bulbs in the ground so the plant can keep growing). Practice conservation! Curious where you've found ramps in the New York area yet... According to Rick Bishop of Mountain Sweet Berry Farm, he's "hoping" they'll be ready by April 22nd -- still a whole week away, and nothing certain. I'm waiting on them rather impatiently. I've lived near large cities, in well-to-do suburbs, in 10 different states over the past 50 years, and I have yet to see a ramp. I even lived close to a cooking school for 18 years, and our local grocery catered to them by buying wonderful foods for us all to enjoy, but alas, we never saw a ramp. They don't have wide distribution, are rarely grown by farmers, and only the elitist cooks in very few places have access to them. I have thought for years that it must be how a chef or otherwise "worldly" cook "proves" to the rest of us that they are truly somebody important to the world of haute cuisine. 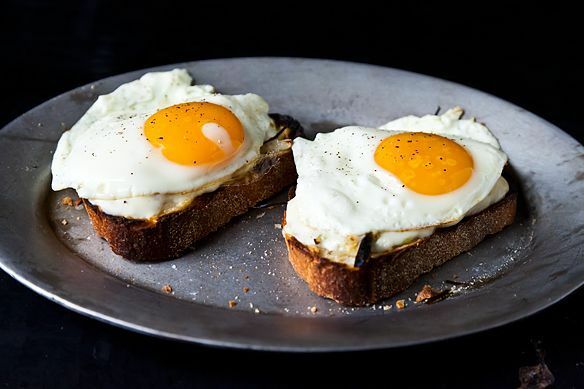 Most of this country has no nearby Whole Foods store, and we don't all live in New York or wherever it is that ramps are distributed to, so this very obscure food item is obviously only for the hoity toity cook who feels he or she must impress us all. I thought perhaps you all need a reminder that most of the country suffers through these seasonal gushes of you more learned cooks, but very, very few will ever actually taste a ramp. I have never even encountered one on a restaurant menu, and I've enjoyed meals in many 5 star restaurants. 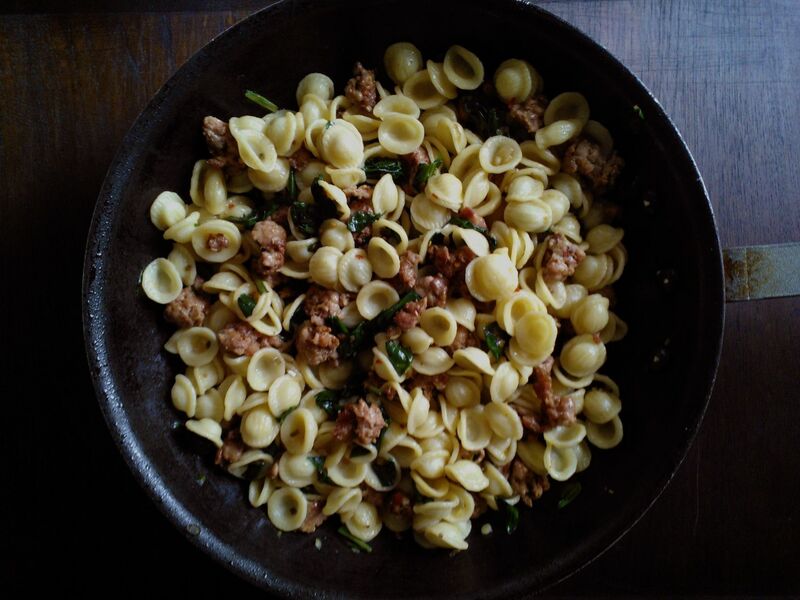 Thank you for posting these recipes and the Mario Batali video. I have curious about ramps since I've heard about them. Unfortunately I haven't seen any around Los Angeles yet. I might try the Pasadena farmers market one of these days. At least I have a some very good recipe ideas for when i do find them. Thanks! Thanks! 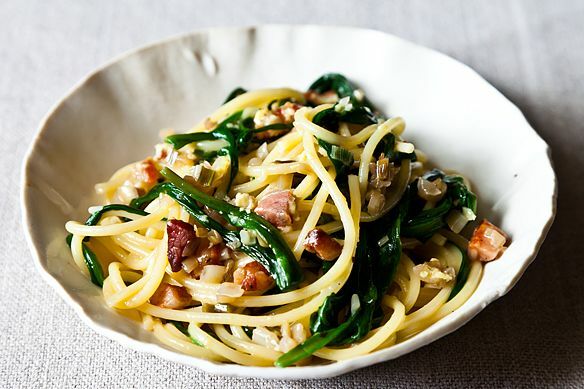 I have been cooking with ramps from the farmer's market without having particular recipes, this is exactly the article I needed! How did you know? I wish I could find a ramp here in Southern California...Anybody see some around San Diego markets?